Born and raised in Columbia, South Carolina until the age of 15. Christopher Goodwin Sr moved to Washington, DC with his younger brother to live with his Aunt Barbara Peoples in Northwest, DC. Goodwin enrolled into Dunbar Senior High School, where he would go on to letter in football, and baseball. While respectfully attending Dunbar, Goodwin fell in love with the game of football. Under defensive coordination Craig Jefferies, is where Coach Goodwin learned the fundamentals of defense concept schemes. After high school Chris Goodwin joined the U.S. Army for a four year tour of duty. While serving in the Army Chris Goodwin had a tour in Kuwait City and served security at the 1996 Olympic Games in Atlanta. During his time in the Army He also earned certification in psychology. After his four years of service, Christopher Goodwin decided to move back to Washington, DC. To begin coaching under Coach Johnny Sharp at the #2 boys and girls club in Washington, DC for two seasons. Chris Goodwin got his big break when a friend and high school teammate called with an opportunity to coach on the high school level. In 2009 Aazzar Adbul-Relwin hired Goodwin as a Defensive Analyst for the Varsity team, later that off season would be named Junior Varsity Head Coach for the 2010. During his 18 year coaching career, he has had the opportunity to coach many top student-athletes that have achieved great success. Some of those accomplishments include 13 All-Met players and 4 Under Armour All-Americans players, 200+ players that received athletic scholarships (high school ranks). During his time as a coach his duties have included but not limited to playbook organization, scouting reports, game planning and play section, practice planning and scripts, personnel and depth charts. He has also served assistant Recruiting Coordinator , and Defensive Coordinator while at Friendship Collegiate Academy. They won the DCIAA Championship DCSAA state Championship as defensive coordinator in 2017. He has had the opportunity to work with and learn from a number of different offensive, defensive, and special team philosophies. 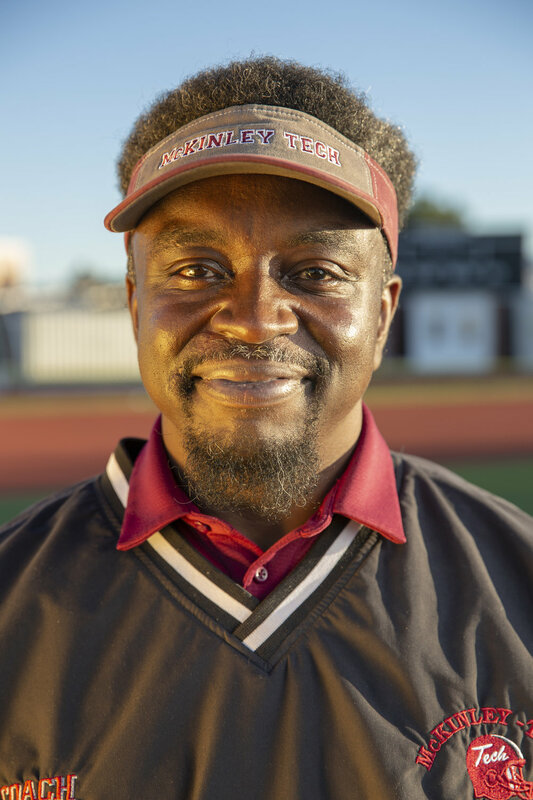 Additionally Chis is well aware of the commitment and dedication needed to be successful as the Head Football Coach at McKinley Tech. Chris is very self-motivated and takes great pride in making sure that his players understand what it takes to be the most prepared player on and off the field. 16 student-athletes received scholarship to play FBS, FCS, DII, DIII football. Served as JV Head Coach with all over record of 23-4 in three years.